Throughout the history of Japanese art, one of the most common natural landscape themes is the ocean and waves off the country's coast. 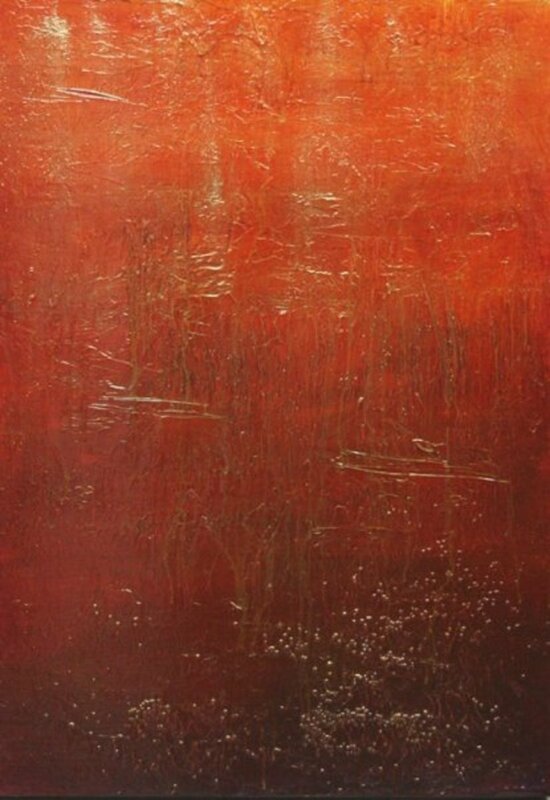 The waves have been depicted both in their serenity and in their frightening ferocity. Many of Japan's most famous artists made paintings and drawings of the ocean and its waves prior to the Edo period. 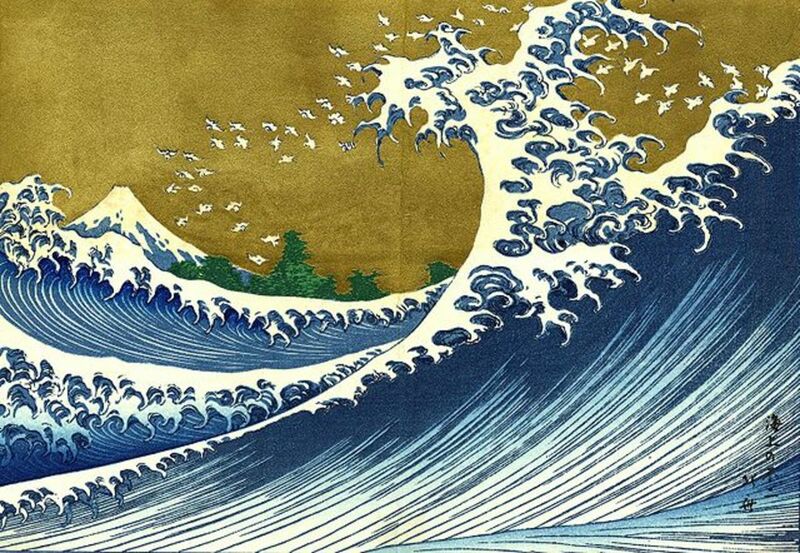 Yet it wasn't until Katsushika Hokusai made his famous woodblock prints depicting two ferocious waves that Japanese wave art exploded in popularity, both in Japan and around the world. In this hub, the artists who made notable wave paintings before and after Hokusai, the wave paintings and prints themselves, and the history behind these artists and their paintings will be discussed. If you want to learn more about Japanese wave art, please read on! Before Hokusai made his famous painting(s), the ocean and its waves were already a common theme in Japanese paintings. These scenes were painted as regular silk paintings and paper drawings and were also painted on six-panel screens, fans, scrolls, and more. One of the most famous pre-Hokusai wave paintings is the "Waves and Rock" screen panel painting attributed to Hasegawa Togaku. 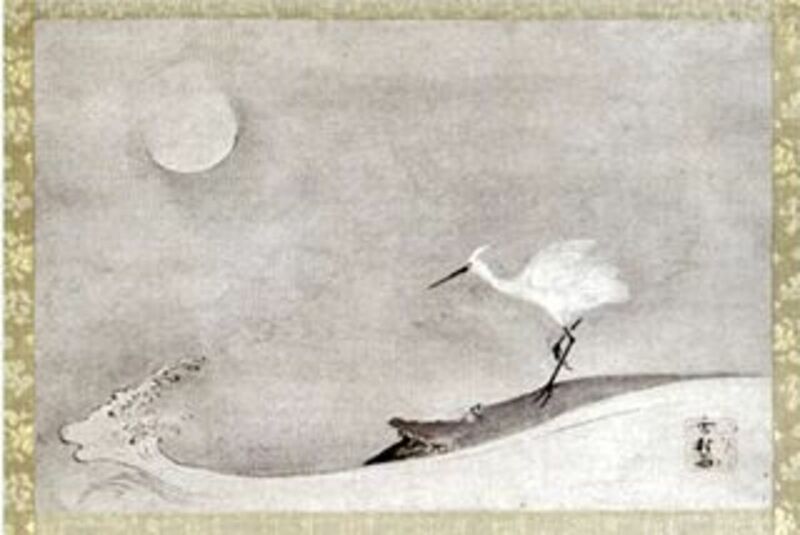 The Muromachi period artist and monk Sesson Shukei (1504-1589) made a number of wave paintings, including "Egret, Moon, and Wave" (right) and"Wind and Waves". Most importantly of all, Ogata Korin's (1658-1716) painting "Rough Waves" is the one painting made before Hokusai's "Great Wave" that captures the essence of a ferocious wave very well. This screen painting was painted sometime between 1704 and 1709 and is said to have been inspired by a painting of Shukei's, who himself made a number of wave paintings. When the Edo period came along, ukiyo-e woodblock prints soared in popularity among the Japanese public and eventually received attention worldwide. This is the era of Hokusai and two of the world's most famous wave prints: "The Great Wave off Kanagawa" and "The Big Wave". The one Japanese artist most famous for painting waves is no doubt Katsushika Hokusai. Hokusai painted the most famous wave print of them all: "The Great Wave off Kanugawa", or simply, "The Great Wave". "The Great Wave" is widely regarded to be both Hokusai's most famous print, as well as the most well-known Japanese work of art in the world. The Great Wave bears a lot of inspiration from the European painters, as well as a certain amount of Chinese influence. "The Great Wave" is part of Hokusai's collection of 36 woodblock prints depicting Mount Fuji, which can be seen in the background behind the enormous waves in this print. Unlike other artists who didn't dare paint the common people in ukiyo-e prints and paintings because of Edo-era taboos, Hokusai defied the conventions and painted two boatloads of fishermen going up against the wave, with its crests reaching down like fingers toward the fishermen. Also, Hokusai captured the wave, sky, birds, and Mt. Fuji in full detail, which most other artists of the period did not do. This is why many regard The Great Wave to be very "un-Japanese!" "The Great Wave" is also one of the great ukiyo-e prints that got widespread attention in Europe from some of the great artists such as Van Gogh and Whistler. It has been said that "The Great Wave" has two meanings. First and foremost, it depicts ordinary men going up against overwhelming odds. As the giant wave plunges down toward the fishermen with its giant claw-like fingers, they keep rowing toward the wave, daring to defy the destructive force of Nature. Secondly, the fishermen and the wave represent the duality of Yin and Yang. That is, harmony and discord, good and evil, darkness and light. In addition to "The Great Wave", Hokusai made a number of other prints depicting violent waves. Some of these also featured people in boats going up against the wave(s) and sometimes plowing through the wave. Hokusai's second most famous wave print is another one he made of the great wave off Kanagawa from his "36 Views of Mt. Fuji" series. However, unlike "The Great Wave", this one has no people at all in the ocean and the crests of the wave seem to turn into plovers. Some of Hokusai's other prints which feature waves prominently include "Choshi in the Simosa Province" from his "Oceans of Wisdom" series, his "Masculine Art" print, and his 1805 print depicting a cargo ship going up against a massive wave. The other famous Japanese artist besides Hokusai to make a famous ukiyo-e print depicting a massive wave was Utagawa Hiroshige (who is also commonly known by his art name, Ando Hiroshige). He drew much of his inspiration from Hokusai and this is obvious in his own Mt. Fuji wave painting (right). Like Hokusai's Great Wave, the enormous wave in this painting has giant figers reaching out toward the poor people trapped in the boats in its path. In addition to this print, Hiroshige did two other prints depicting tidal waves: The sixth print in his "Famous Places in Japan" series titled "Shichirigahama Beach" shows a big tidal wave heading for the shore, and fishermen gathering around. 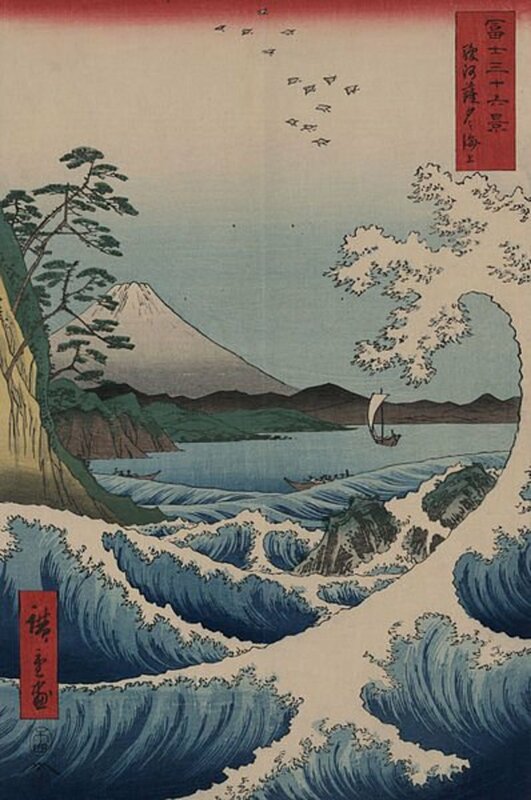 Also, the 55th scene from the "Famous Views of the 60 Provinces" titled "Rough Sea at Naruto in Awa Province" features both a giant wave and a whirpool, and seems to bear a great resemblance to both his own Mt. Fuji print and Hokusai's "The Great Wave". Hiroshige did his work during a time in the Edo period when the Japanese people were starting to travel across Japan. He made many of his prints while traveling himself, and many reflect things and people he saw while on the road. He liked to depict the reactions of ordinary people being caught off-guard by things like tidal waves. Also prominent in Hiroshige's paintings are Japanese plovers, or 'chidori' as they're called in Japanese. These can also be found in some of Hokusai's prints, such as the print of the great wave off Kanagawa above. One of the most common themes in ukiyo-e prints was Japanese history and historical legends. Utagawa Kuniyoshi did a number of series about Japanese history, legends of Japan, and samurai. This forms the basis of Utagawa Kuniyoshi's ukiyo-e print depicting the Hosowaka retainer Shimamura Danjo Takanori riding the waves on the back of large crabs. 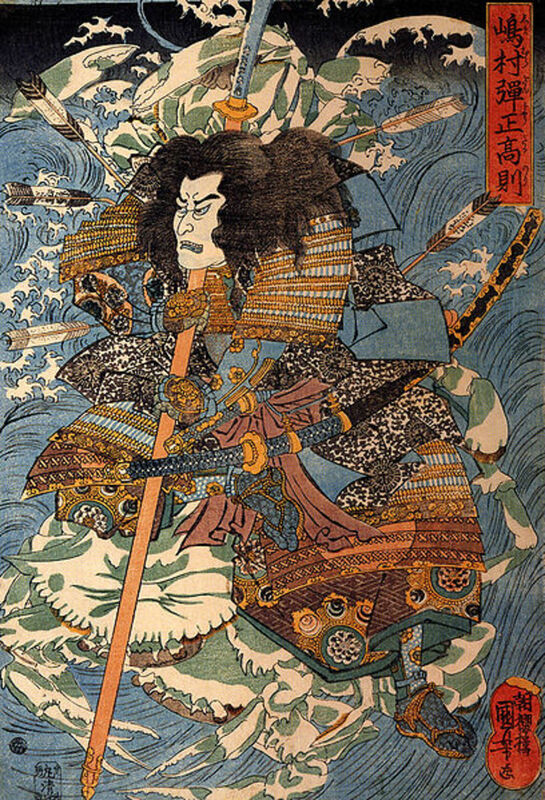 In this print, his body is pierced with arrows and he is leaning on his naginata. In real life, Shimamura Danjo Takanori fought the daimyo of Awa in the straits of Amagasaki and drowned himself in the ocean after being defeated in battle. After his suicide, the crabs in the straits had the face of a warrior and this gained them the name "Shimamura-gani". Hence the depiction of Danjo riding on the crabs! This print was published during the Edo period sometime in 1843-44. Three other prints by Kuniyoshi depicting giant waves are "The Gost of Taira Tomomori", "In the Waves at Kakuda en route to Sado Island" (1835), and "A Record of Origins of the Great Country of Japan". When the Meiji Restoration came along, the popularity of ukiyo-e came to an end and Western-style art and the newly-created art of photography became the focus in Japan. However, the ocean and its waves remained a popular subject for paintings by Japanese artists. During the latter years of the Meiji period and the Taisho period in the early 20th century, there was a revival of ukiyo-e. During this period, some wave paintings and prints were made. Some of the famous paintings from this period include paintings by Hashimoto Gaho (last of Kano School painters), "Green Waves" by Tsuji Kako (1910), "Seagulls over the Waves" by Seitei (Shotei) Watanabe, and the 1910 painting "Waves" by Konen Uehara. Matsushima Bay in Miyagi prefecture has long been regarded to be one of Japan's three most beautiful views. The chain of islands in the bay along the Tohoku coast and the gorgeous oceanside scenery have inspired many an artist over the years. It's no coincidence that some of these artists have made wave paintings along the shores of Matsushima. One such artist was the 17th-century artist Tawaraya Sotatsu. 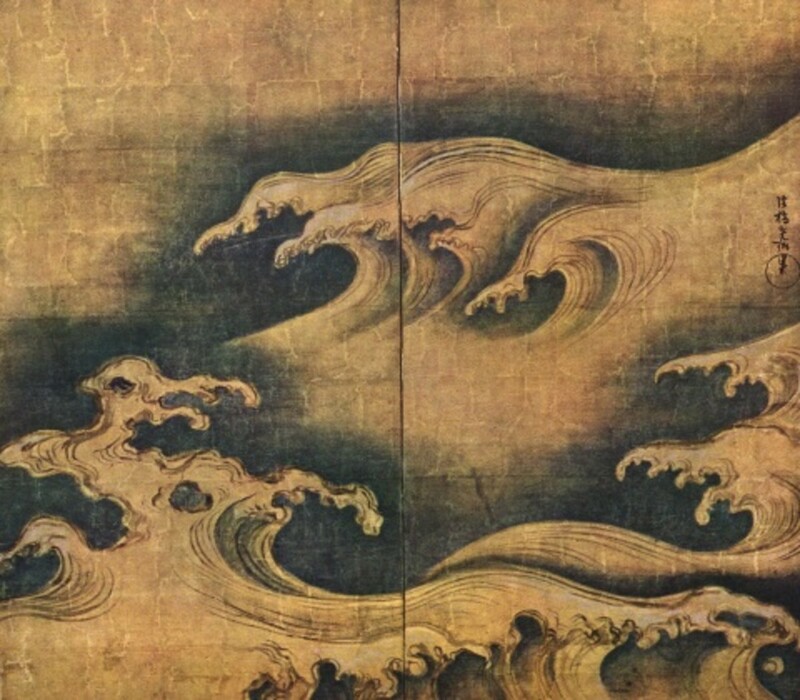 His work "Waves at Matsushima - a painting on two sets of six folding panels - depicts the churning golden waves lapping against some of the islands and coastline. One can feel as if they are on one of the islands and the ocean is churning away! 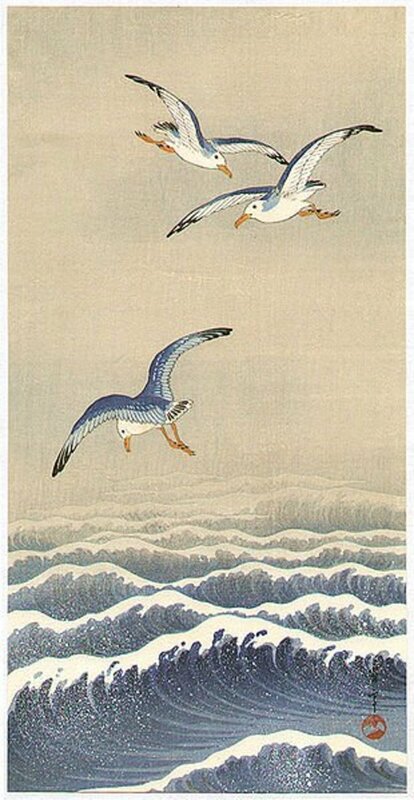 Another artist to depict the waves along the Matsushima coastline was Kawase Hasui (1883-1957). Kawase was one of the artists who helped bring about a brief revival of ukiyo-e in Japan in the early 20th century and one of his own prints from 1919 was titled "Matsushima in the Moonlight". Unlike most of the other prints above, this print is a very serene nighttime painting depicting the waves gently lapping along under the moonlight. Sadly enough, Miyagi prefecture suffered heavy damage and loss of life during the earthquake and tsunami of March 11, 2011. However, the Matsushima bay area suffered much less damage than the rest of the prefecture or northeast Japan. In tribute to the area, the Freer and Sackler Galleries in Washington, DC, USA held a special exhibit called "Waves at Matsushima", which was held from May 28-July 5, 2011. This exhibition featured both of the above paintings. 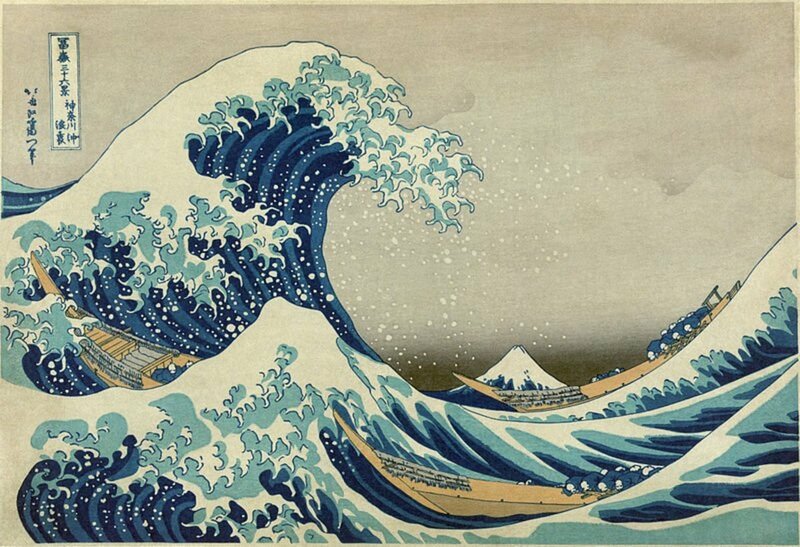 As it has throughout the history of Japanese art, the wave will no doubt remain a popular theme for many more generations to come. The wave art of the ukiyo-e era has yet to lose its popularity and will most likely stay popular as more people around the world discover famous wave painting(s) of Hokusai, Hiroshige, and all the other artists in the history of Japanese art who have made wave art and fall in love, just as Van Gogh and Whistler did over 130 years ago. Thank you for your visit and please check in again soon as I plan to gradually update this hub over time. 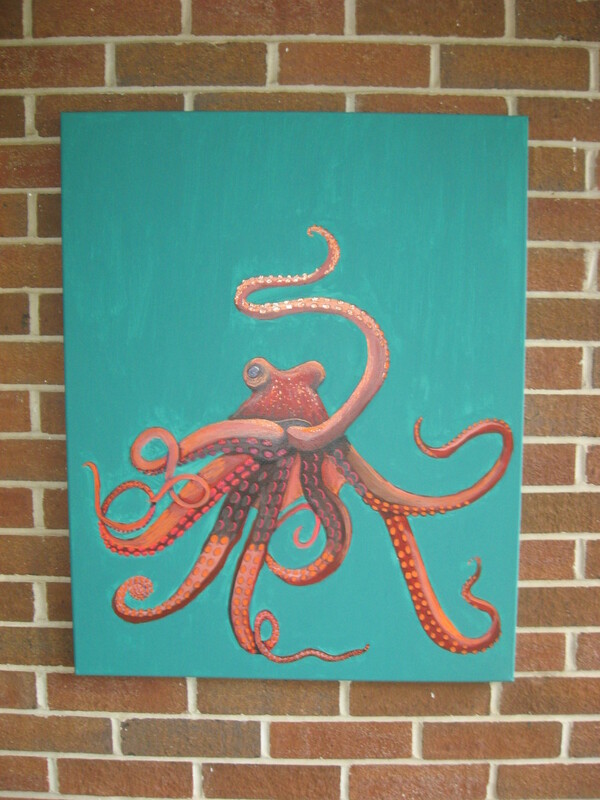 I will certainly add more artists and works of art as I find them! Wikipedia entry on "The Great Wave off Kanagawa". Many thanks for the thumbs up! 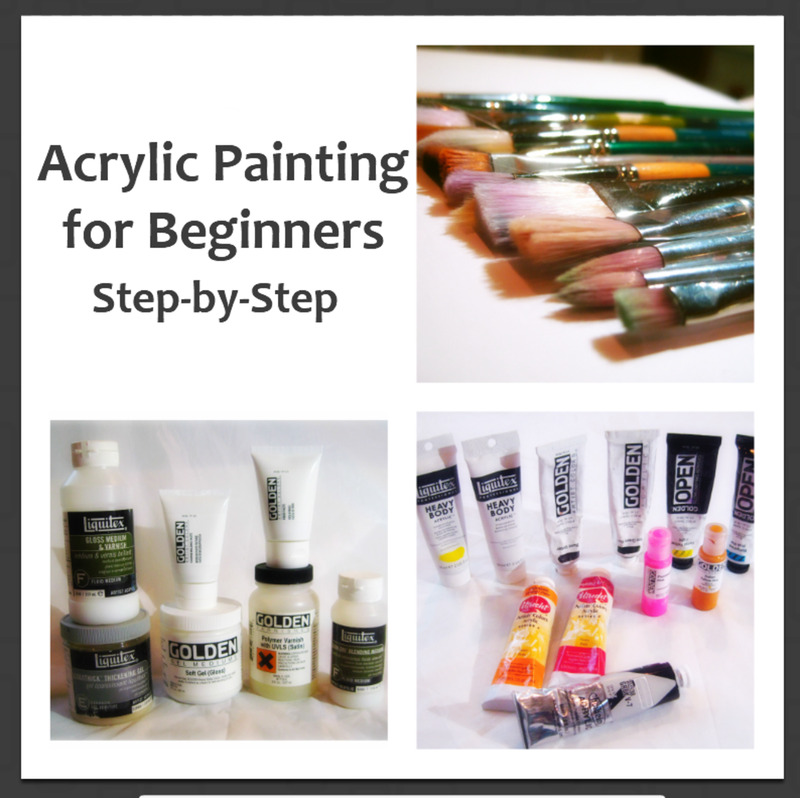 I appreciate it very much and glad to have helped you learn more about the subject of wave art! Voted up, useful, interesting, and AWESOME. Bookmarked! 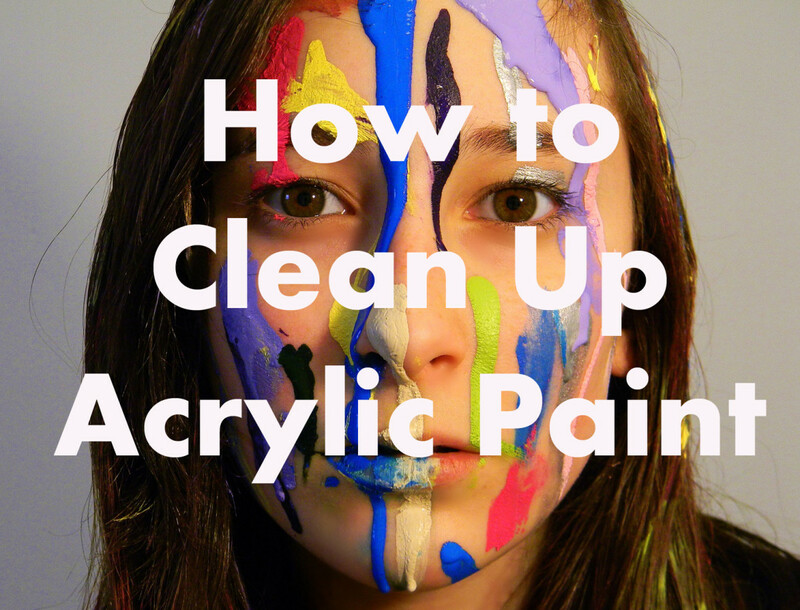 I have always wondered about this type of art, and I will use your Hub is my introduction. Thank you! Thank you for your comment phdast7. I'm glad you enjoyed the hub. Japanese wave art does seem to be a genre in itself, but something that seems to have been at least somewhat overlooked. Hopefully this hub will shed a little light on the meaning and purpose of the wave in Japanese art. Thanks again and come back soon! Fascinating. 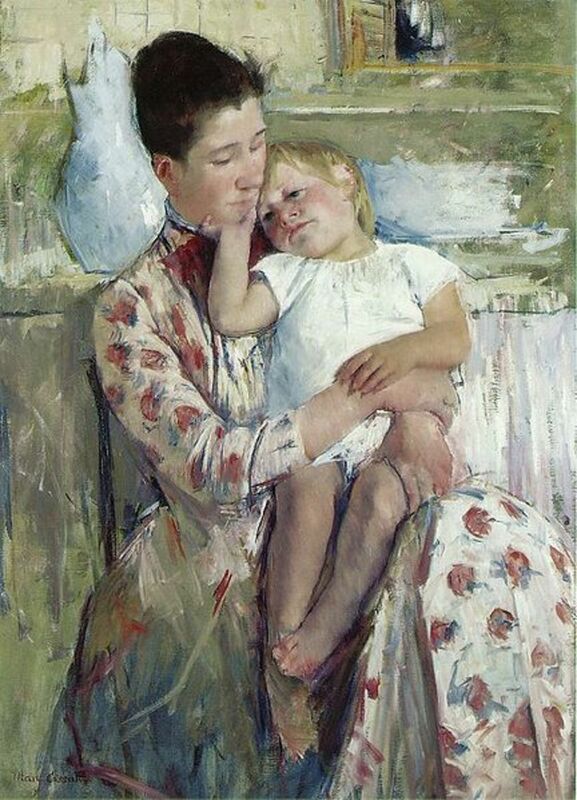 I had seem prints like this before, but I had no idea they were part of a tradition, a genre within Japanese art. I especially appreciate the paragraph where you explain the two primary levels of meaning associated with wave pictures. Very nice Hub. Very glad you liked this hub Imogen. Ocean waves have definitely been a hot subject in Japanese art over the years, and they are all paintings I love as well! Thanks for your comment and take care! Beautiful pictures, I love The Great Wave but didn't realise there was a whole genre of wave art. Thanks for sharing.